Finally, an artist bag attractive enough for an artist to carry! 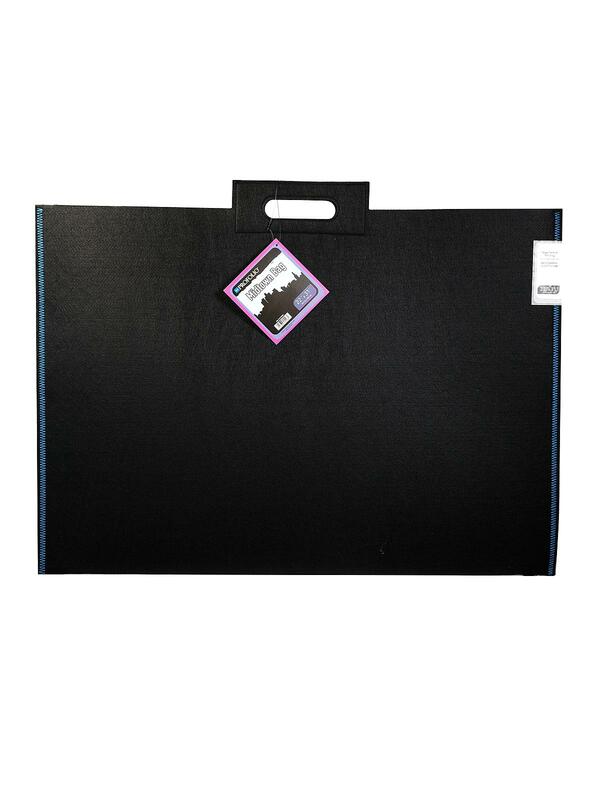 The Profolio Midtown Bag combines a sleek urban look with a contemporary felt bag, perfect for carrying large sketchpads, canvases, presentation boards, artwork, posters and frames. 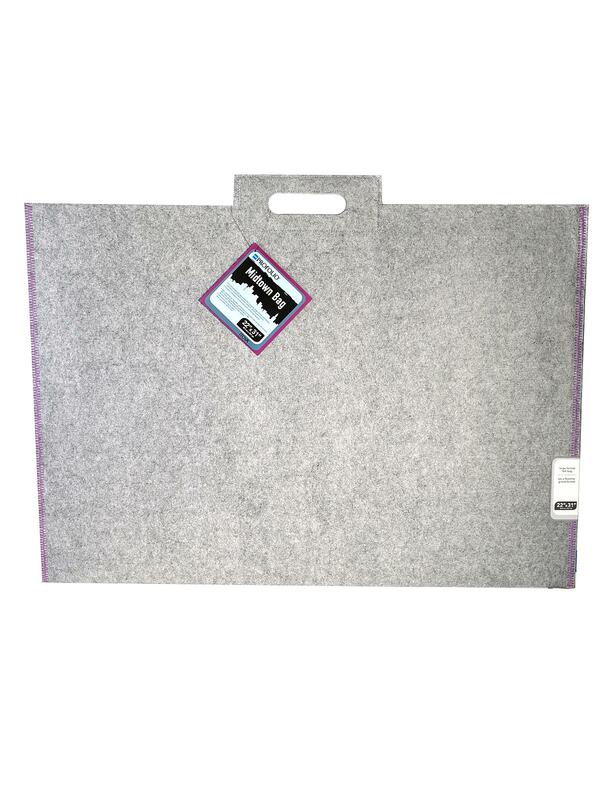 The bag has durable, one-piece construction with reinforced handles that are both comfortable and reliable. Available in 4 sizes and in two exciting color schemes: gray with purple accent stitching and black with blue accent stitching for your large format art, photography and business needs.